More than 30 million people are affected by sinusitis, making it one of the most common health conditions in the US. Many of those cases are acute but if the symptoms last more than three months, sinus surgery may be required. Sinusitis is a swelling of the tissue lining of the sinuses that blocks drainage. Acute sinusitis can be caused by a common cold or allergies and is easily treated with medication or other non-invasive treatments. Chronic and recurrent sinusitis cases are caused by severe allergies, growths or a deviated septum and could need surgery. Symptoms of chronic sinusitis include ongoing sinus congestion, inflammation or infection, nasal discharge, fever, headaches, and fatigue. Delaying treatment of sinusitis may result in prolonged and unnecessary pain and discomfort. In extremely rare cases, it can even lead to meningitis or an infection of the bone. Getting surgical treatment can provide long-term relief for patients suffering from sinusitis. Although sinus surgery provides relief for many patients, the surgery doesn't always completely eliminate sinusitis and can even require a second surgery as the blockage returns. That's where the PROPEL® sinus stent comes in. The PROPEL® sinus implant is a temporary, dissolving stent designed to keep the sinuses open after surgery. The PROPEL® stent is inserted following the procedure and is absorbed by the body over four to six weeks, releasing a steroid (mometasone furcate) over time, which suppresses inflammation. The PROPEL® sinus implant stabilizes the sinuses post-operation and prevents further blockage from scar tissue. The combination of stabilizing the sinuses and medicating the tissue lining of the sinuses reduces the need for further procedures. 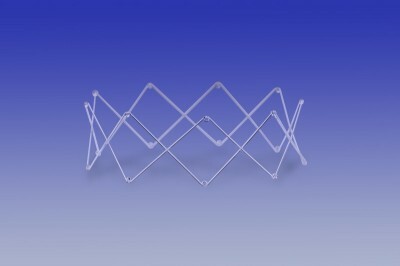 The PROPEL® sinus stent is the only clinically proven method of prolonging the results of sinus surgery. If you're suffering from sinusitis and require surgical treatment, visit Dr. Suresh Raja's office to get the treatment and relief you deserve. Dr. Raja has been treating patients with sinusitis for more than 20 years and is an expert in the field of sinus surgery. He has performed thousands of sinus surgeries and is dedicated to treating this condition that affects millions. Make an appointment to discuss your sinus problems and to find out if sinus surgery and the PROPEL® implant are a treatment option for you.